Stewart Filmscreen is showcasing several new products, including the new Phantom HALR High Ambient Light-Rejecting screen material, at ISE stand 1-F41. Showing a broad range of custom solutions, which includes the large-venue Torrent ElectriScreen in a 16-foot, 10-inch image width (5.131 meters), Stewart Filmscreen will demonstrate the advantages of selecting the proper screen material and framing system. The new large-venue Torrent is designed for commercial and residential applications where a big screen is crucial for visibility. Easy to install, with a self-finishing ceiling flange and the screen control system located inside the case for clean lines, the Torrent ElectriScreen can be outfitted with any of Stewart’s flexible front- and rear-projection screen materials (except Silver 3D), including the new Phantom HALR. The new Stealth XM screen was designed for large-scale applications where the screen must be completely concealed when not in use. Thanks to a new roller tube design, the Stealth XM is now available in image widths up to 13 feet, 4 inches (4.064 meters), significantly wider than previous trapdoor ElectriScreen designs. 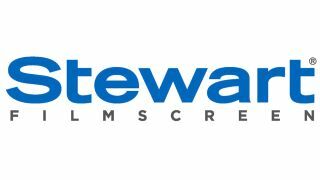 The Stewart Filmscreen team, which includes new CEO and president, Shannon Townley, entered ISE 2017 with a message of the company’s legacy and future.